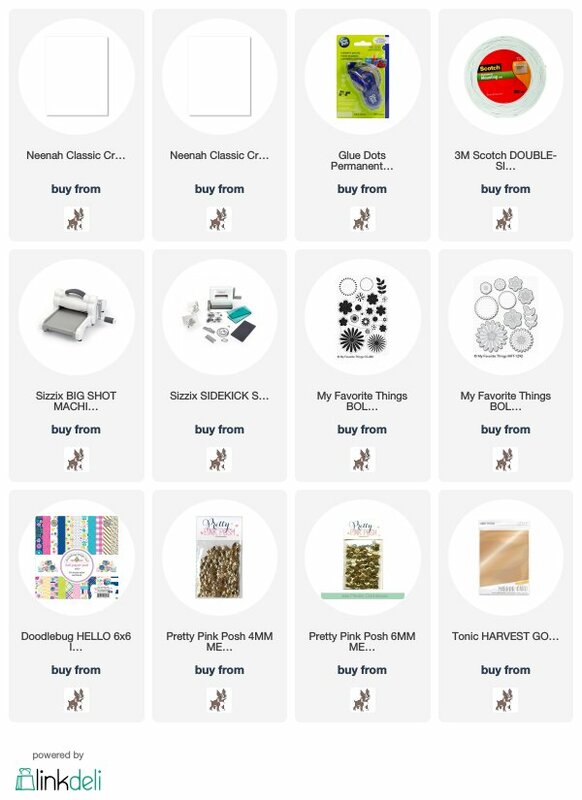 Happy Monday crafty friends! 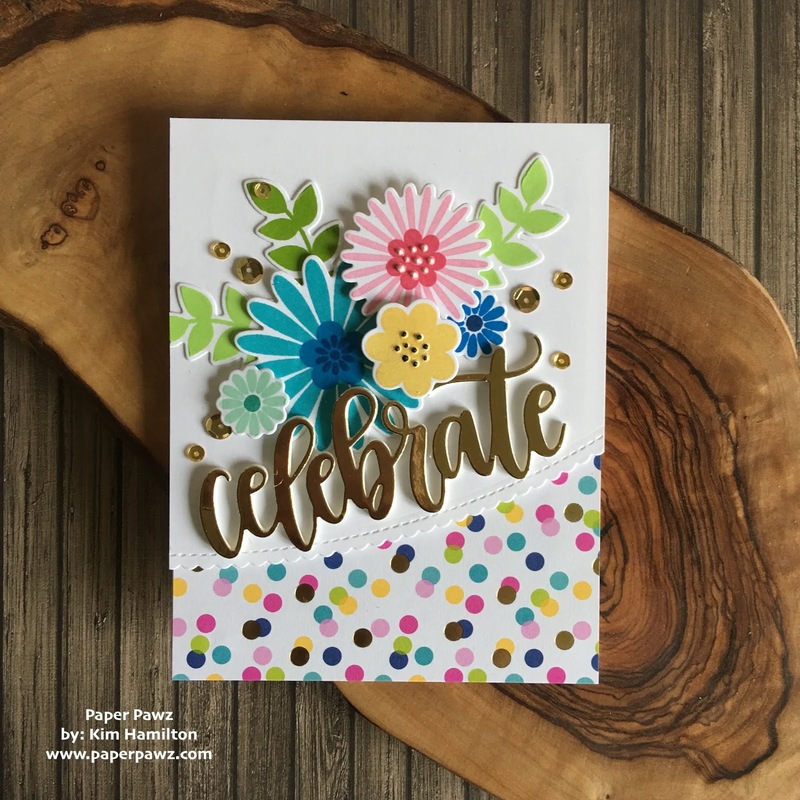 I was away for work and back yesterday and I needed to unwind so I pulled out my MFT Bold Blossom stamp set and decided to play! 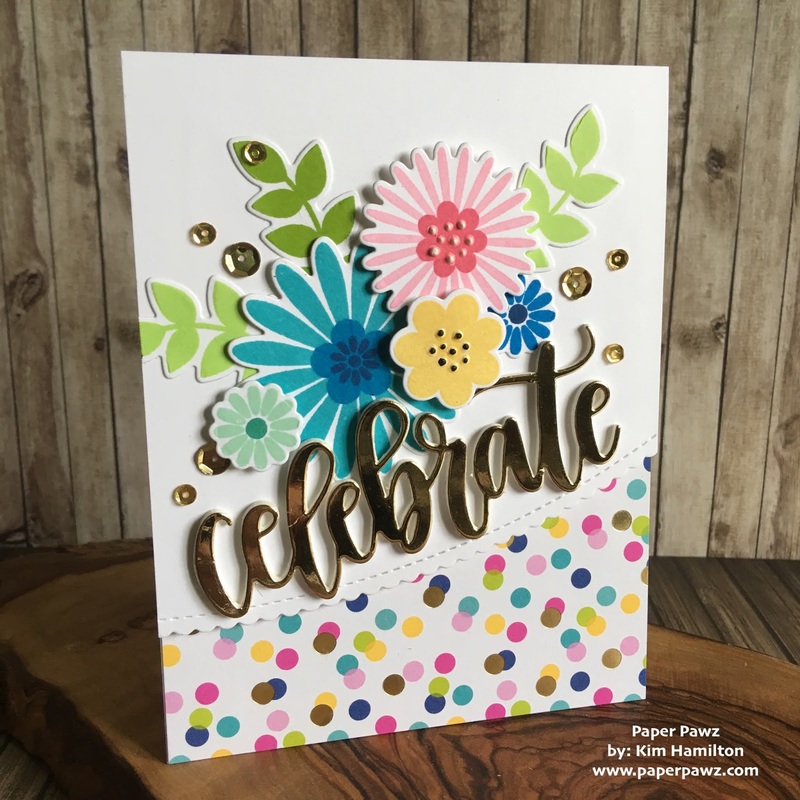 My inspiration for this project was the gorgeous Dooblebug pattern paper! 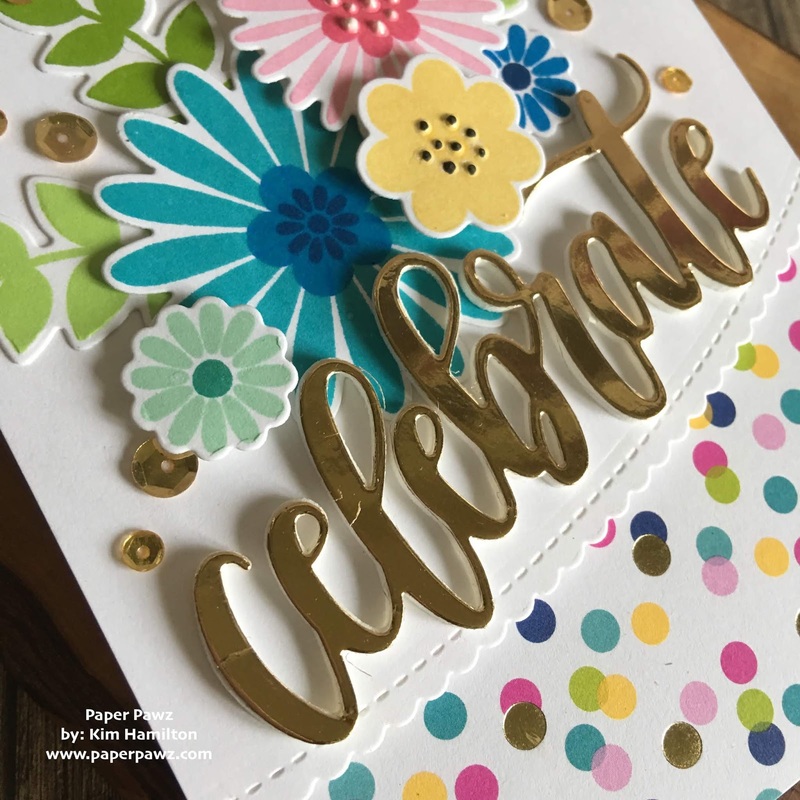 Polka dots are my absolute favorite and this paper had my little heart go pitter patter. 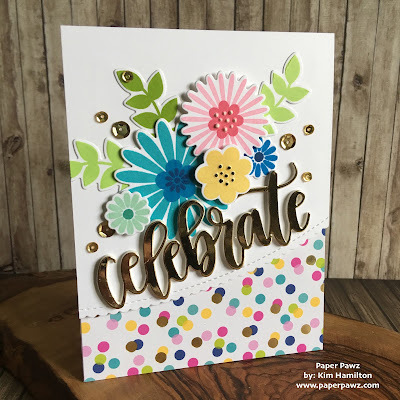 I started by stamping my MFT flowers with a mix of Catherine Pooler inks that matched the colors of the pattern paper and die cut them with the coordinating dies. 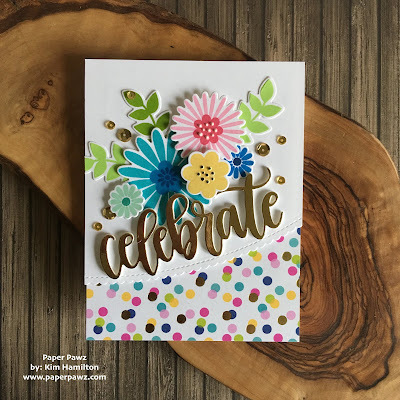 I decided that a matching gold sentiment would be so pretty with the gold dots so I die cut the MFT Celebrate from gold Tonic Mirror card stock and some fun foam for dimension. 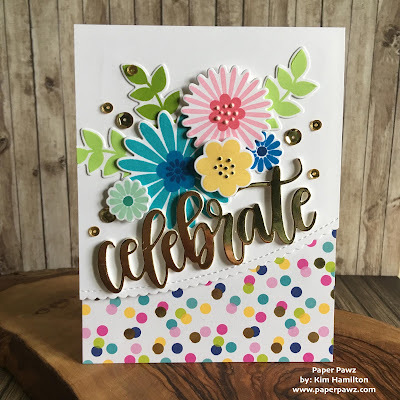 I decided to use one of the MFT scalloped border dies for my panel. I glued my pattern paper on the card base. I then assembled the flowers and sentiment on the top panel. I placed it on the card base with foam tape for added dimension and I topped everything off with some Pretty Pink Posh gold sequins! Thanks for taking the time all the products are listed and linked below.